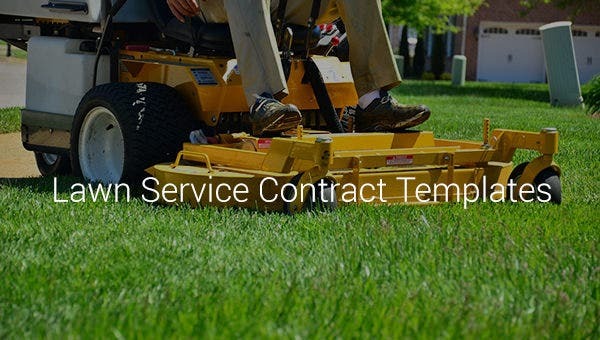 You do not have to create a plan for your lawn service contract from ground up anymore. 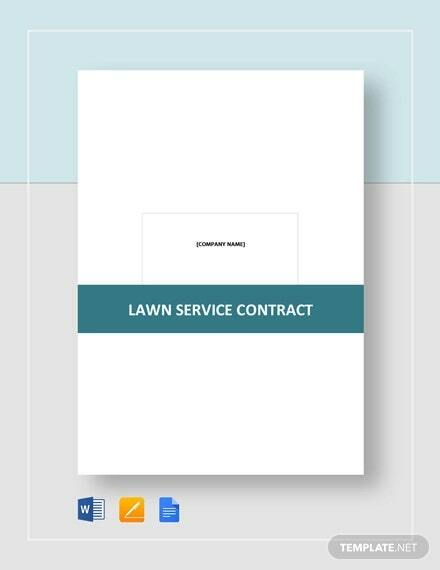 Simply download a high-quality lawn service Contract Template and use it for writing your contract. Some contracts even have example data from which you can relate to if you have no idea how to write a contract. You can also see cleaning contract templates. You can also see basic contract templates for further references. Leave spaces for the name of your business, your name, the customer’s name, and address and the date. Make sure that your business license and other legal information are mentioned clearly on the contract. 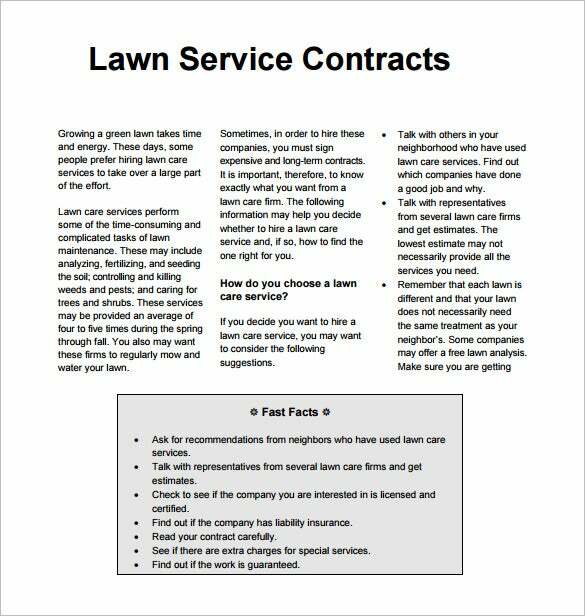 Add the date the service is listed to begin and how often you will work on the lawn. If it is not always you completing the work, state who might be working on the lawn without fail. Talk about money. Tell the client how much he/she needs to pay and what happens if they fail to make the payment. Also, mention what happens if you cannot fulfill your end of the contract. You can also take the help of service offer letter templates. Mention all the possible terms and conditions you can think of so that the contract sails smoothly. Provide a list of all the services you provide. If you’re going to do all the gardening work from plucking to disposing of the waste, mention it out in the contract. If there is something you do not provide or do as a service, make it clear as well. If you’ll provide services for an extra fee, the contract should clearly describe the amount of the fee too. Highlight issues that may be vague. The contract should state which party is accountable for repairing what items if there should be any damage. The agreement should have a section where it clearly states who is responsible for paying what for the service. 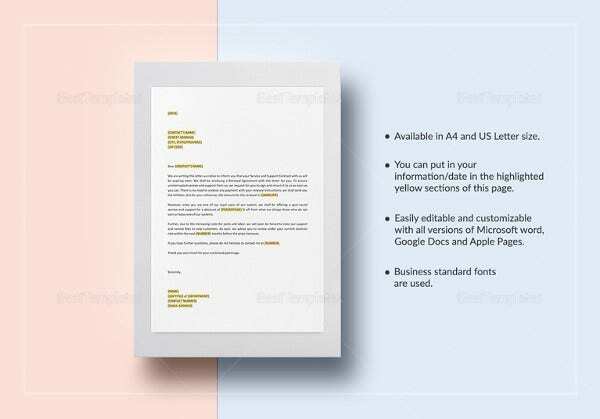 Check out the termination of services letter template for more information. Once you are done with placing everything in proper order, review it again and again. It is always better to recheck your contract, just to make sure everything is mentioned in detailed and perfectly. Once you are satisfied with it, sign it and also ask your client to sign it. If there are any changes to be made, make sure to do them before you sign the contract. Thank you for your service letter templates can be of great use for you to show your gratitude to the services you have taken the help of. Contracts are an important part of any agreement as they are the agreements signed when both parties agree to all the terms and conditions. 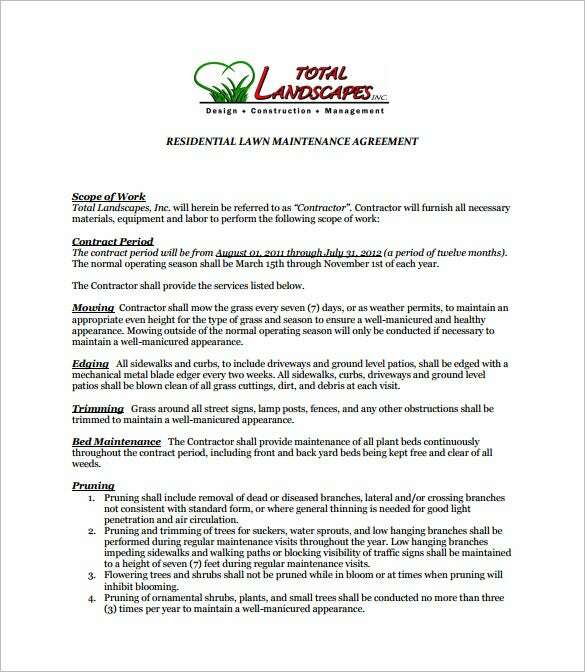 Lawn services are no different, so feel free to make good use of our lawn service contract template. It is professionally designed and has excellent quality. Readily customizable, editable and printable anytime, anywhere. You can also check professional service agreement templates. The above template is great for anyone looking for a file to protect both the company and their client from crooked incidents and to legalize the deal between the two parties. As a customer, know that you should never be in trade with a company if a pact isn’t signed upon to guarantee that you get your money’s value. This also reduces the possibility of clients skipping out on paying for the services. Download now! You can also check out cleaning proposal templates. Maintenance contracts are important as they act like an agreement between the service and the customer that who is responsible for what. 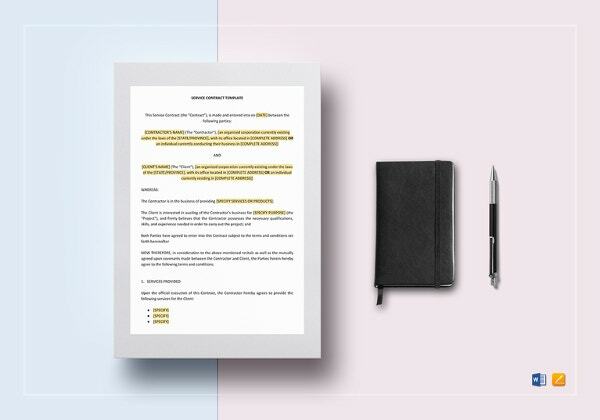 For a quick and easy formal contract preparation, you should consider downloading this template. 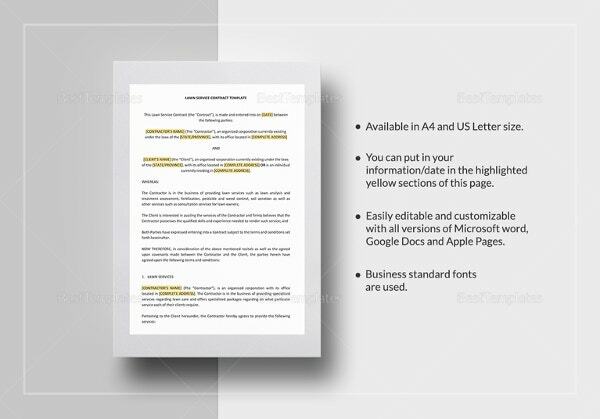 This template is fully editable with a document layout which makes it usable at any time. Check out contract templates for a list of various forms of contracts. Use this template to make it easier to show what you expect from your clients and vice versa. Check out event contract templates for more exciting contracts. 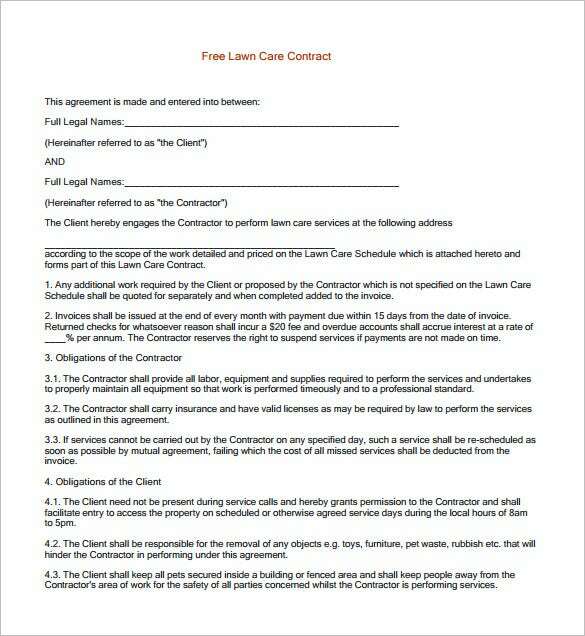 A binding contract protects both yourself and your clients, so don’t let go off this little detail for your business. You can edit it the way you like. You can also use the help of service recommendation letter templates for more help on creating a service contract. 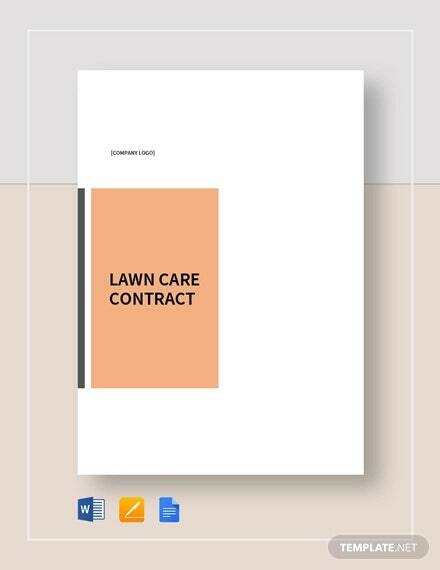 This service contract will make your job easier, thanks to its instant download capability and highly customizable format. It will save you the time and effort of creating a new one from scratch. Just simply edit the areas that are highlighted in the document with the information you need to put in and print. 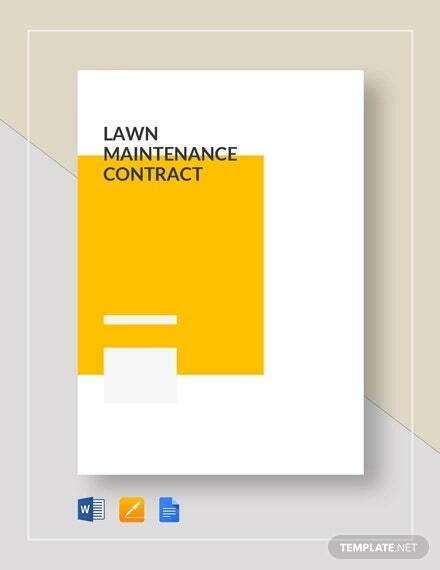 This maintenance contract template will help you in finalizing your service and cleaning contract with a lawn service. With its completely editable and customizable features, it will make your job very easy. Download and edit it in the way that suits you the best. Contract samples can be of great help for you to create anytime of contracts. The simple question anyone is likely to ask is why use blank Contract Template instead of creating my own layout from scratch. 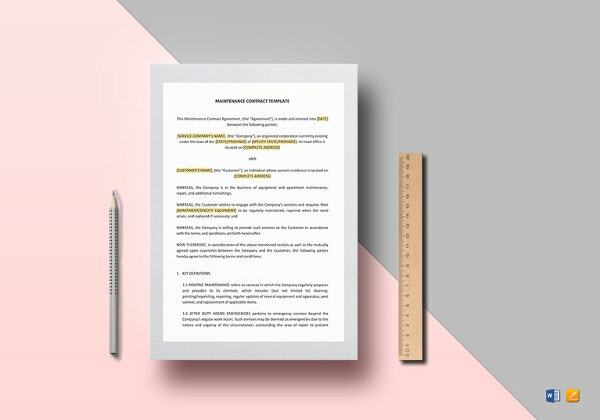 Well, while there are no official rules for creating a layout for a contract, but these templates help to save you loads of time, including the time you would otherwise spend thinking how to structure the template. You may also like Consultant Contract Templates.